The blurb: Uprooted from her home in India, Alice is raised by her aunt, a spiritualist medium in Windsor. When the mysterious Mr Tilsbury enters their lives, Alice is drawn into a plot to steal the priceless Koh-i-Noor diamond, claimed by the British Empire at the end of the Anglo-Sikh wars. 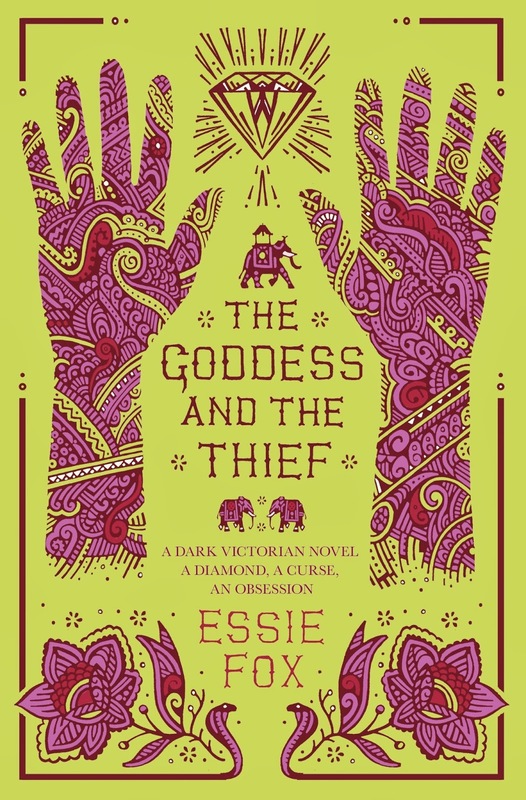 My review: I was immediately drawn to this book, not only because I loved Elijah’s Mermaid and am a general Essie Fox fan but also because I live in Windsor where the majority of the action takes place. There’s something quite lovely about reading a story set in places that you walk past every day and this book is beautiful too – not just cover deep but written in a wonderful and alluring way that makes you want to know what happens to our naive heroine Alice. The detail and heat-soaked atmosphere of India during its occupation starts this book off to a mysterious and doom-laden beginning, diary entries, letters that never get sent, all leave the reader in a position of power to watch the hapless Alice be faced with one disaster after another, a bittersweet position of observation that Fox handles with delicacy. The entrance of Queen Victoria could have been so cliched but it works, you’re so intrigued by the multiple strands that are woven together that everything fits like clockwork. I was sad that certain characters I really liked didn’t make it back into the ending of the book – I dont want to give anything away – but you’ll understand when you read it! This is a tale of lost families, haunting prophecies and obsessive love. Not one to miss!